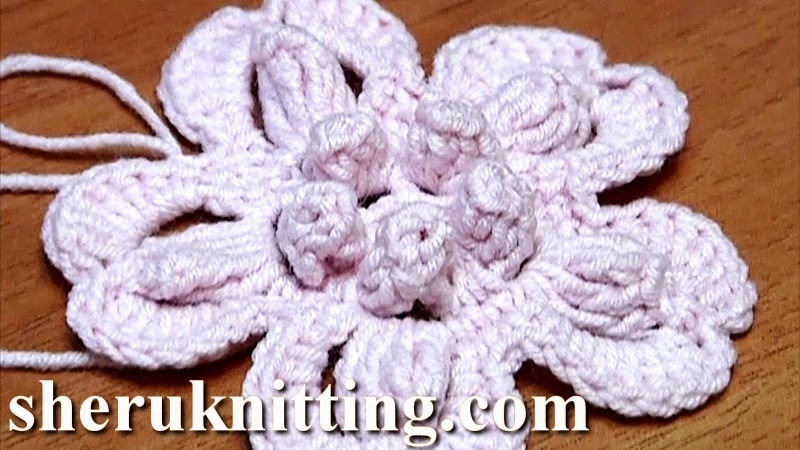 Tutorial 2.The center of this beautiful 5-petal flower made of 5-double crochet popcorn stitches. In the middle of each petal there is a big popcorn stitch made of 5 treble crochet stitches. This big popcorn surrounded with stitches. You would need: Steel Crochet Hook size 2.25mm (#2 US standards); yarn: 55% Cotton, 45% Polyacrilic, 160m in 50g, 5ply.